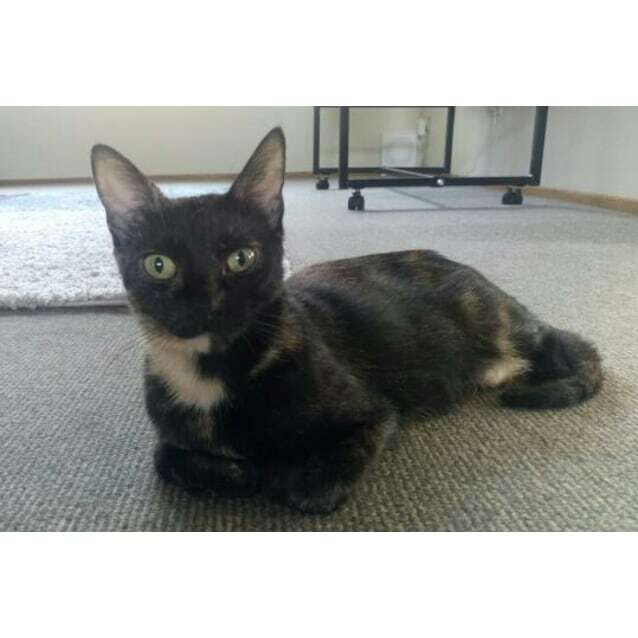 Beautiful, innocent little girl Lottie came into care with PMAWS at just six months old and very heavily pregnant. She was barely out of kittenhood herself, when on 7th October 2017 she gave birth to two gorgeous little kittens - Aatraya and Sapphire. And if that wasn't enough, she also welcomed two other little orphaned kittens (Lazlo & Azarath) into her family and fed, nurtured and raised them as her own. What a wonderful and caring thing to do and that speaks volumes about her lovely nature. 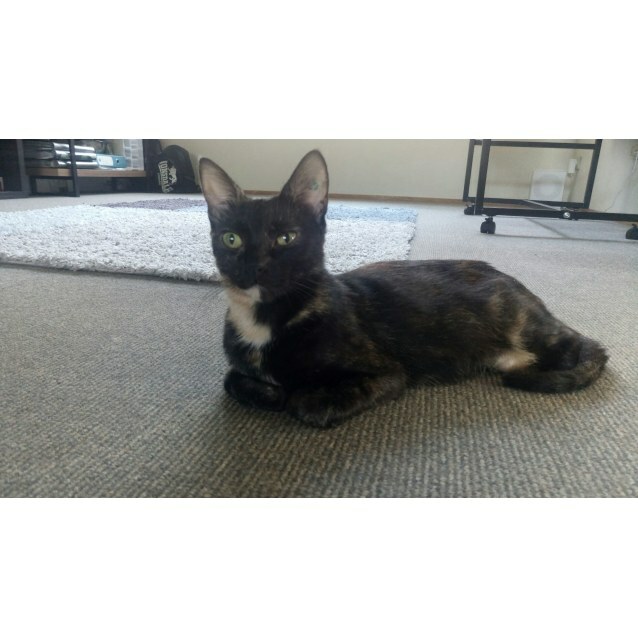 Lottie is a beautiful and sweet little dark torti girl. She's not overly keen on being picked up but she does love a good pat and belly rub and will lay there purring and enjoying every moment, taking as much of that as she can get. 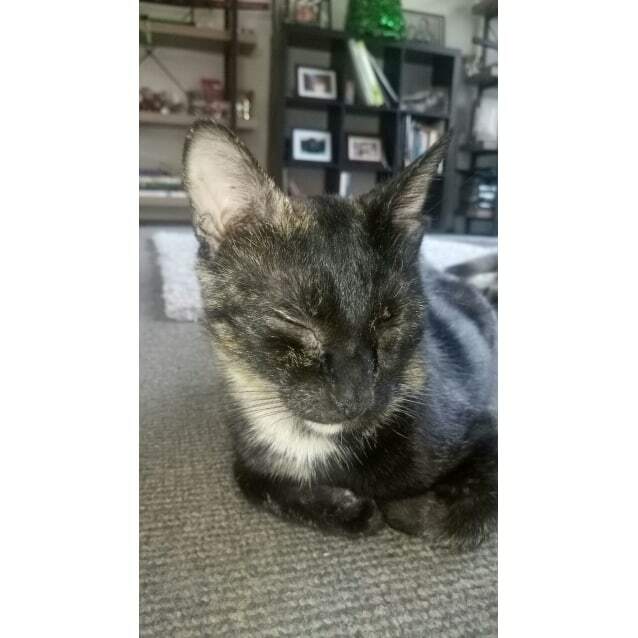 She gets on well with other cats, which has been proven by her gentleness in raising her two adoptive kittens as well as her own. Lottie has now had her vet work completed - no more babies for this darling girl. She now gets to live her life to the fullest and enjoy being loved and pampered herself - it's her time to shine now. Thank you Lottie!